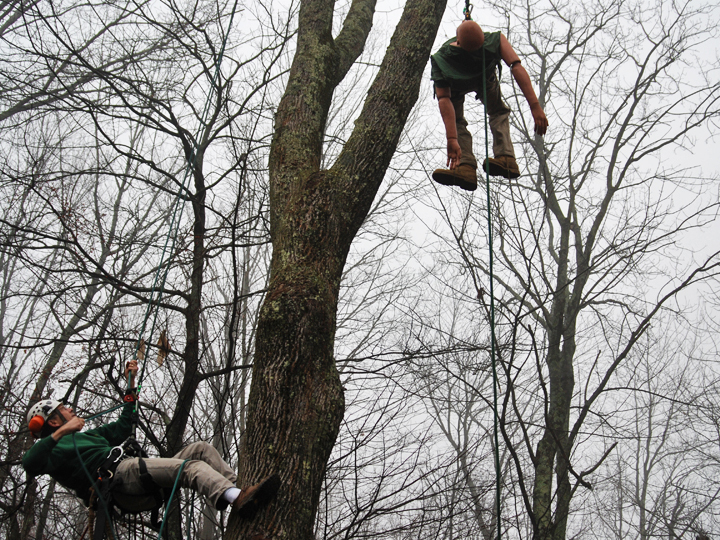 Training | Welcome to Connecticut Arborists! An arborist dummy hanging in the tree. These pictures illustrate hands on training in performing an aerial rescue, a requirement for each of us when working in residential situations. 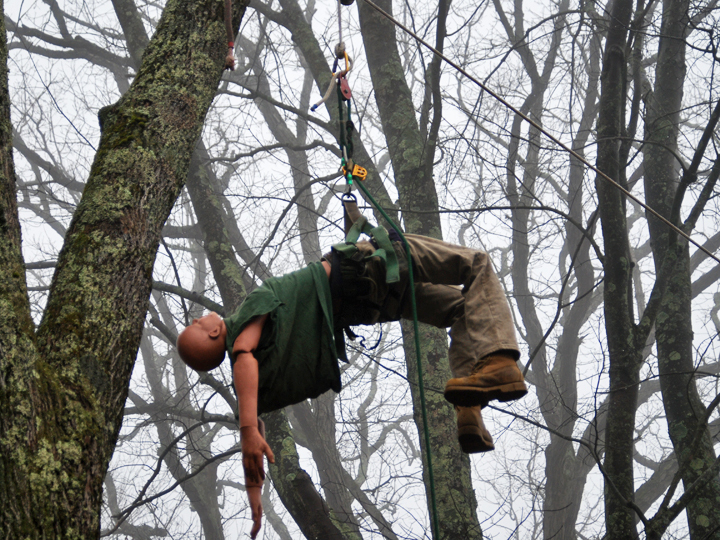 Employees must practice the rescue of a mannequin that is “unconscious” in a tree. Our employees continually train in new best practices and safety protocols, maintaining industry standards and current professional standards. Some training is formal such as the educational instruction shown at right. Other instruction is maintained through the Red Cross for CPR and First Aid certificates. It never ends. Our point is that there are many types of training that we go through, to stay on top of our industry and to operate professionally on a day-to-day basis. This keeps us in compliance with industry standards and is peace of mind for our clients. 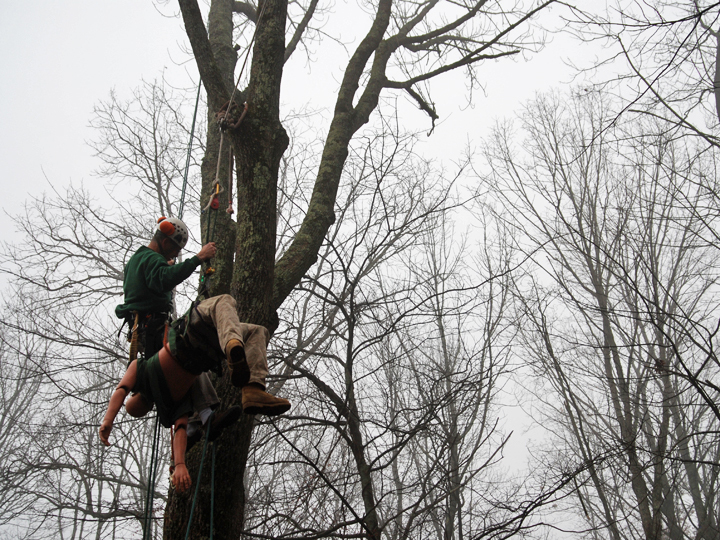 The arborist dummy being rescued. An arborist heading to rescue the dummy.